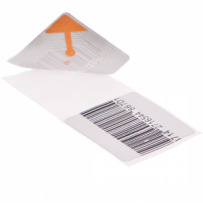 Apart from detection RF security hard tags which tend to be used for fashion, these systems also detect the RF label or 8.25 MHz RF security label which is mainly stuck to packaged goods or merchandise to prevent shoplifting. 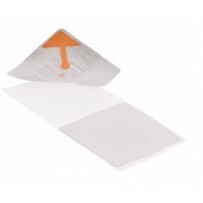 These Radio Frequency security labels incorporate a circuit on the back of the label (sticky side) that resonates at a peak frequency of 8.2 MHz The RF security tagging system is constantly sweeping between 1.7 MHz to 9.5 MHz and when an RF label enters this field it resonates at the peak frequency of 8.2 MHz due to inducing power from the transmitter pedestal of the 8.2 MHz Radio Frequency security tagging system. The receiver pedestal of the RF tagging system detects the resonating label and therefore if all the parameters are correct the RF tagging system will alarm.